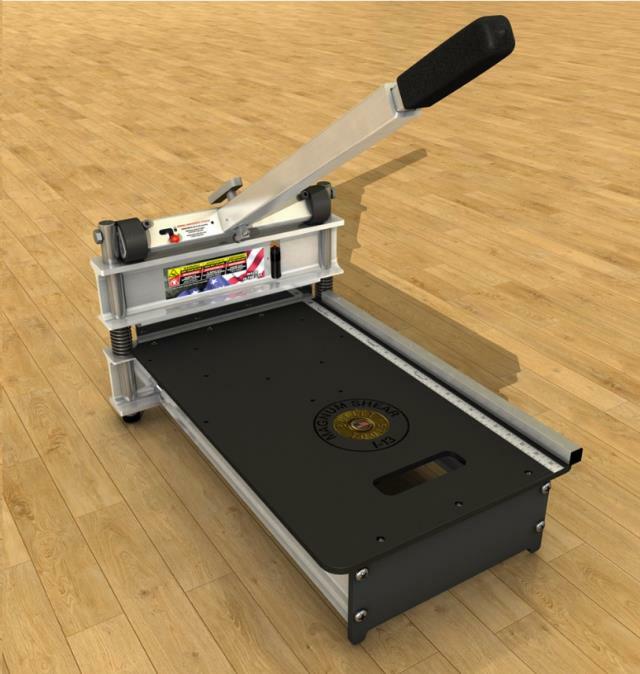 BULLET TOOLS MAGNUM FLOORING SHEAR model # 913 - Made in U.S.A.
Cut Depth: Up to 3/4"
Cove Base, Rubber Tile, Soft Plastic, Engineered Wood Flooring (most). 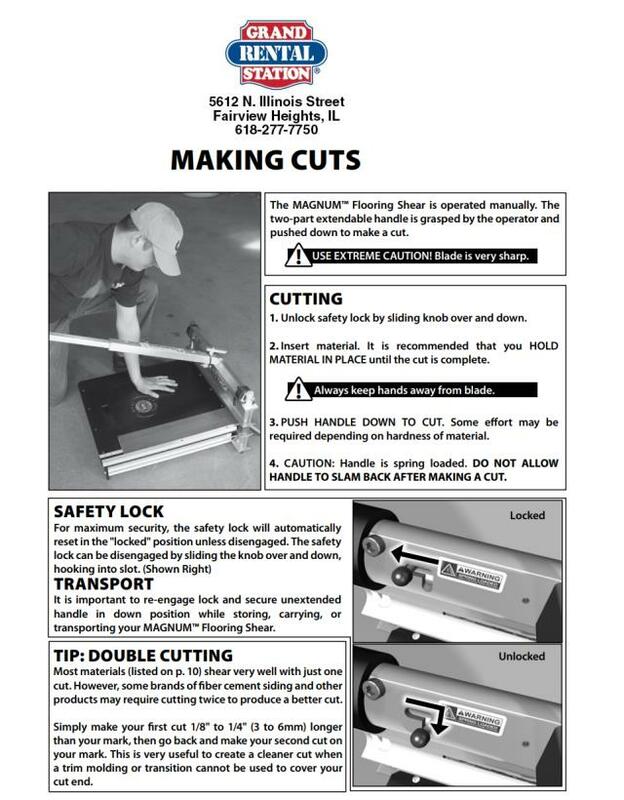 Laser guide for precision cuts, Built-in ruler. 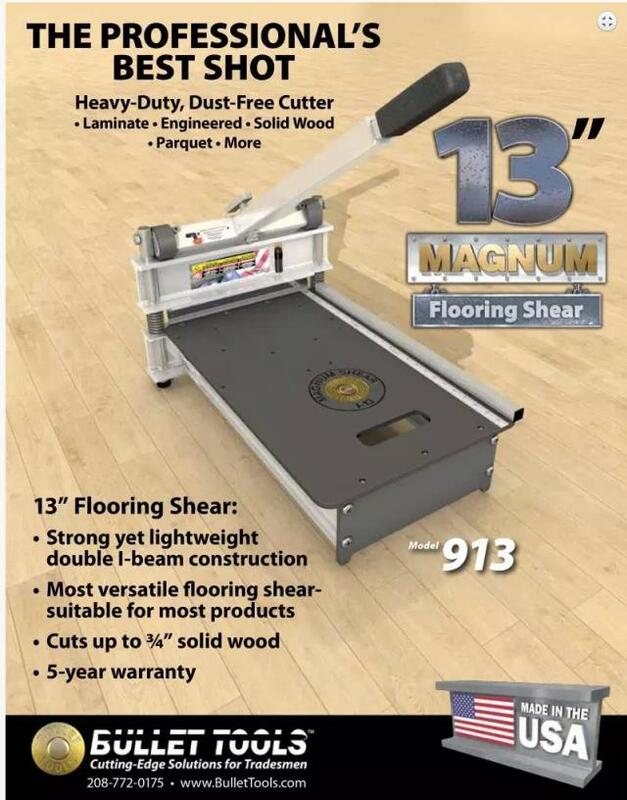 ** Please call us for any questions on our 13 inch magnum flooring shear rentals in Fairview Heights IL.